The 2020 Woodland Heights Home Tour is a year away, and the committee is already gearing up for it. The first order of business is selecting houses for the event, which is March 28-29, 2020. If you would like your home to be considered for the tour, please send an email to Louise Moss at limoss@comcast.net. The committee plans to visit homes in the May-June timeframe with the goal of finalizing homes by end of summer. This lets us get exterior photos done before winter and gives the homeowner plenty of time to prepare for the tour. The tour features original homes, including those that have been updated and/or expanded. We are particularly eager to hear from you if you have a small- or mid-size house so we can feature a range of sizes and architectural styles. 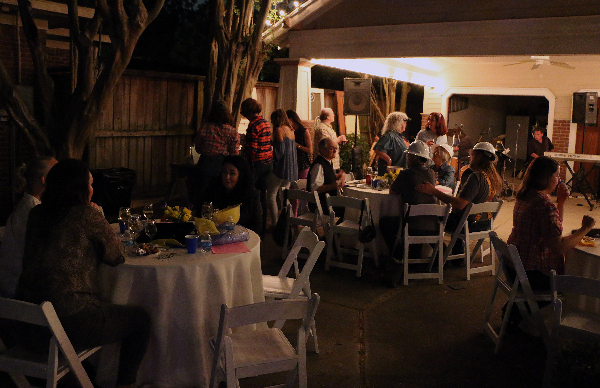 The tour is a major fundraiser that supports neighborhood activities and showcases Woodland Heights’ unique charm to visitors from across Houston. Lucas Craftsmanship (LCI) has been satisfying homeowners and businesses in Houston and the surrounding areas since 1994. The family-owned company has developed numerous lasting relationships with area suppliers as well as with repeat clients. In addition to its full time skilled craftsmen, LCI has been using the same fully qualified and insured subcontracting partners since its inception. Each member of LCI shares in the firm’s work ethic and integrity, guaranteeing you “exceptional quality” and outstanding results. Billy Lucas started the company in 1994. Born and raised in the Northeast, he has been hands on in every facet of the building trade from a very early age. Mentored by his father, Billy learned the industry, but more importantly, he absorbed his father’s values, including his work ethic and commitment to reliability, “exceptional quality,” creativity and individualized service. Relocating to Texas in 1991, Billy was building his business in the Spring area when a local plumber hired him to build a porch for a home at Watson and Merrill. Billy immediately fell in love with the area. It featured the Craftsman-style homes that he had grown up around in northern New Jersey and knew he wanted to grow his business here. Upon completion of the porch project, Billy was awarded another project down the block. That referral led to another and another. Brother Dan Lucas joined LCI in 1998. Along with a degree in business, he brought expertise in in client management, and his ingenuity and insight added a new dimension to the team. Dan, a managing partner, governs the business side as well as overseeing daily operations. Mentored by his brother Billy, Dan also has become a craftsman too. In 2005, third brother Steven Lucas joined the family business as project manager. With a degree in communications, Steven manages the fine details of select projects, assuring daily operations run smoothly. 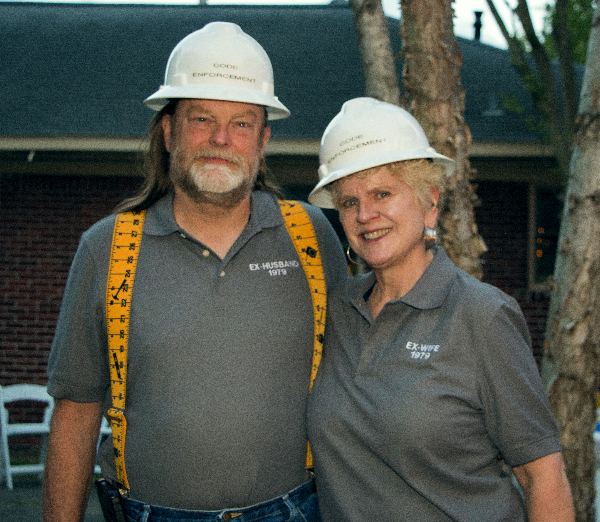 With this commitment to customer service and quality construction, LCI has restored life to several hundreds of homes in the Heights area in the past two decades. Giving back to the community is an integral part of the LCI mission. Among various other charitable events and contributions, LCI has sponsored the Woodlands Heights and Houston Heights home tours in recent years, showcasing their work in more than 15 homes. At LCI, all carpentry is done in house due to a commitment to old-world craftsmanship and high-end custom woodwork. Custom renovations, outdoor kitchens, new construction and even light commercial work, LCI is dedicated to taking what you envision and actualizing it – turning your dream into reality. The neighborhood’s largest fundraiser, its biannual home tour, will be held March 23-25. This year, a total of eight historic homes, including three “teardown turnaround” specials, will open their doors to visitors. 1 - 205 Bayland: Built by Woodland Heights founder William Wilson for his own family, this 6,363-square-foot prairie style home has been lovingly restored as a neighborhood showplace. The most recent update, completed in 2017, refreshed the interior with a modern aesthetic. 2 - 3302 Beauchamp: One of the early William Wilson homes, this beauty once housed rental units in the attic. Current owners have undertaken two renovations. The latest expanded the kitchen and created a new master suite. The backyard now houses a beautiful pool area with its own kitchen, laundry and bath facilities. 3 - 1132 East 7th Street: This charming brick bungalow packs a lot into 1,200 square feet, plus attic conversion, to function well for a family of five. The 1935 house welcomes visitors with white shiplap walls and stained ceilings, original doors converted to sliders, bold wallpaper and eclectic antiques. 4 - 500 Teetshorn: Rather than building up, this home’s restorer raised the original single-story house and built a first floor beneath. The resulting home is true to its historic roots and features many period-perfect touches on both floors along with an open kitchen-family room space, high ceilings and transoms. 5 - 711 Woodland: This historic district home features a thoughtful second-story addition accessed by an open, airy stairwell with a beautiful window on the landing. Custom touches include a screened in porch off the second floor back, stained glass windows in the master and concrete floors in the mudroom/laundry area. 6 - 3005 Houston: Another original William Wilson home, this large two-story had been carved up into multiple rental spaces. Drawing upon their renovation expertise, the owners saved what they could and sourced period materials for windows, doors, floors, fixtures and stairwell. Enjoy the eclectic antique collections showcased throughout the home. 7 - 601 Woodland: Originally 1,200 square feet, this home had been much neglected before new owners saw its potential, restoring the home, adding a two-story space to the back and creating an inviting landscape for outdoor living. Making creative use of space, custom touches include a dedicated pet room for dog rescues and a wine room tucked under the stairs. 8 - 714 Woodland: Another potential teardown, the owners loved the home’s history and wide front porch, working to bring it back to life and restore it to single-family living. Check out the Brazilian antique doors guarding kitchen recesses and the original multi-paned windows throughout. 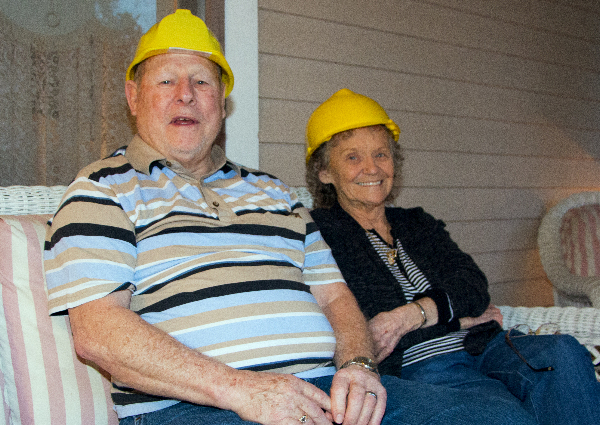 In salute to our teardown turnaround homes saved from the bulldozers, this year’s home tour preview party features a “Bob the Builder” theme. 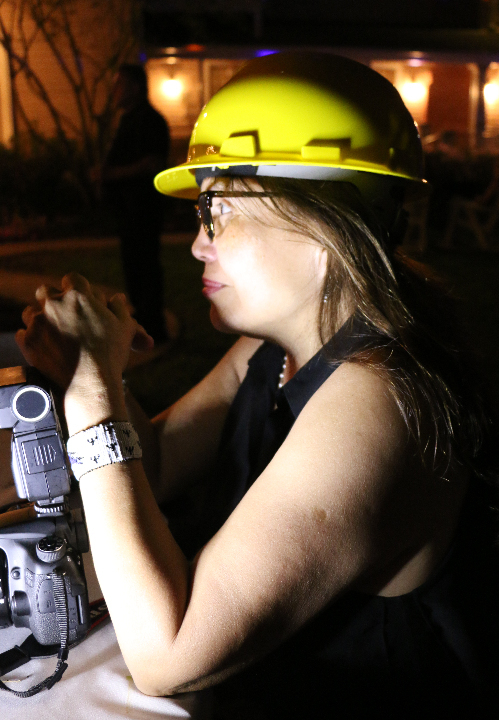 Don your best construction apparel (sequined tool belts, anyone?) 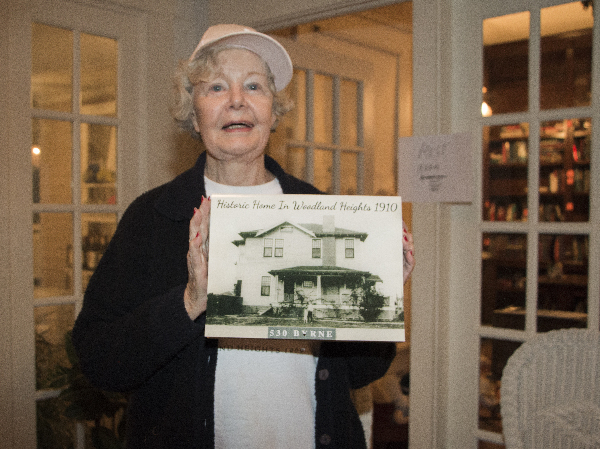 and party at Janeen Cook’s historic William Wilson home at 530 Byrne on Friday night, March 23rd. The event will feature delicious hors d’oeuvres donated by local restaurants, wine and beer, and dancing to Zenteno Spirit’s Latin jazz. All ticket holders are eligible for the door prize drawing, a wine tasting for 10 generously donated by Kagan Cellars. Raffle items include Astros tickets, a weekend getaway, “Raid the Cellar” (remaining wine and beer) and many more prizes. Space is limited so get your tickets early! Party-goers also get an advance peak at the tour homes, 5:30 to 7:30 p.m. Friday, with wine and cheese at each stop. Home tour tickets are valid all weekend. New this year is a Friday night preview home tour-only ticket for $50. This allows you to tour and enjoy wine and cheese at each of the eight homes, but doesn’t include the party. Great for busy schedules! Note that while homeowners may be present at some of the homes, the Friday night preview is designed for viewing at your own pace without docents on hand to share insights as you go. preference for time slot and/or area (particular home or cashier), and we will try and accommodate. The home tour committee is proud to report record-setting sponsor support for this year’s home tour and hopes to set a ticket-sales record as well, with our extra homes on offer. Many thanks to the generous neighborhood businesses who are underwriting this year’s tour and preview party. Click the image above to download the 32 page event guide book. The Woodland Heights Home Tour is just one week away! It happens the weekend of March 24-25, noon to 6 p.m each day. Home tour tickets purchased online will be available for pickup at the Travis ticket booth 11:30 to 5:30 both days; preview tickets in front of 530 Byrne, Friday beginning at 5 p.m. 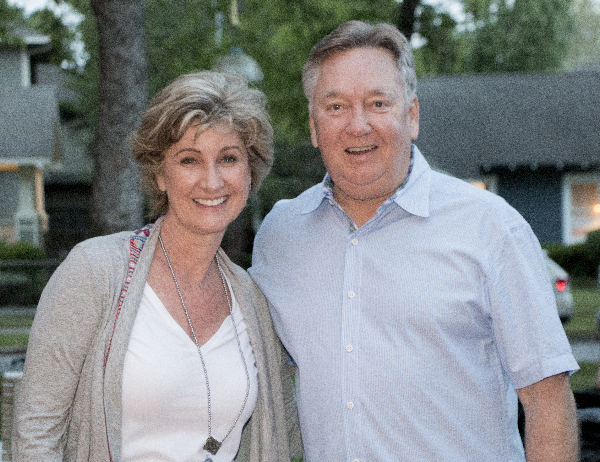 The 2016 Woodland Heights Home Tour was a resounding success, despite less-than-ideal weather, raising more than $31,000 for the neighborhood and showcasing our “hometown near downtown” to our fellow Houstonians. Many thanks to the homeowners who graciously opened their homes to the approximately 700 tour goers. The tour featured a wonderful mix of sizes and styles of historic homes, each thoughtfully updated for modern living in line with our “Reinventing for Today” theme. Much fun was also had at the preview party, “Premiere Night on Byrne: Boas and Beads,” including the wonderful music, amazing decorations, delicious food and fun 1920s Hollywood-glam costumes worn by many of the attendees. Our wonderful committee chairs and committee members who donated many hours over almost a year. The approximately 130 volunteers serving as docents and ticket sales tour weekend. Our sponsors who contributed $16,000 to support the neighborhood. Our in-kind sponsors, from designers and photographers donating their talents to vendors providing at or below-cost services. Our local restaurants, grocery stores, and caterers who provided an abundance of food and drink for our preview party as well as to the raffle donors. A first time for us, the raffle raised $1,000. Janeen Cook to whom we can’t thank sufficiently for opening up her lovely home for the 3rd time for the preview party. Our local florists who provided awesome arrangements for the homes. Last, but not least, the neighborhood’s support by purchasing tickets to view the homes. The event also was a chance to showcase Woodland Heights across Houston. Tour goers came from across the metroplex including League City, Katy, Bellaire, Cypress, and The Woodlands. Please review the full list of generous home tour sponsors who contributed money and in-kind donations. They were absolutely vital for our success. Over the next months, you’ll also see ads showcasing some of these sponsors on the website and in the newsletter. We hope that you will patronize these neighborhood supporters when you have the opportunity. 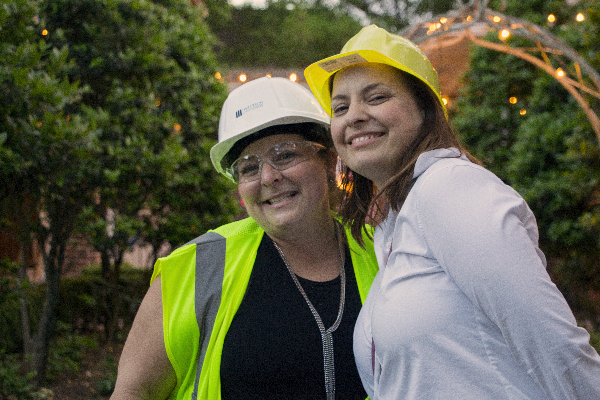 We still have a few outstanding expenses, but the net proceeds from the preview party and home tour topped $31,000 – a new record for our home tour. The money is expected to be used primarily for beautification – making our “hometown near downtown” even more desirable. The WHCA board will share more details as projects mature. Please visit our Home Tour page to view a list of our generous sponsors. Guests at the 2016 WHCA Home Tour Preview Party. Six neighbors will open their beautiful homes to the public for the 2016 Woodland Heights Home Tour, “Reinventing for Today,” April 16 and 17 from 1 to 6 p.m. Our first home tour in five years, this is traditionally the biggest fundraiser for the neighborhood. The tour features historic homes that have been revitalized and refreshed for modern living while preserving the charm of the past.